The hot sunny summer is here to stay. The kids get bored easily and there is not much to do inside, except watch TV. Why not allow some art in your life. It will be a welcome change. It will initiate an understanding of self. Expressing emotions through art journalling can be very alleviating. Get yourself and your child a sketchbook or notebook and start by filling up the pages with thoughts and jots. 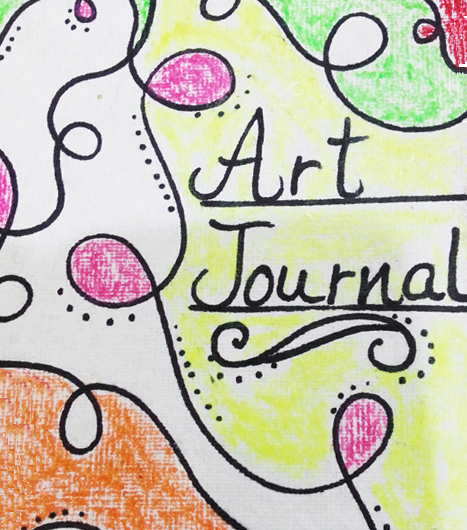 The children can be prompted to create art journal pages on various topics. They can write and draw about their favorite places, things, people etc. They can also write letters to themselves, jot down their dreams and make visual notes for any of their favorite subjects or topics. Each one can paint a page or two in their favorite color and draw all things associated with that color. Being involved in art journalling myself, I know how it brings me to a zen like stage. Imagine what it’ll do to the world with a whole lot of individuals doing that. What a happy and healthy place to live in!